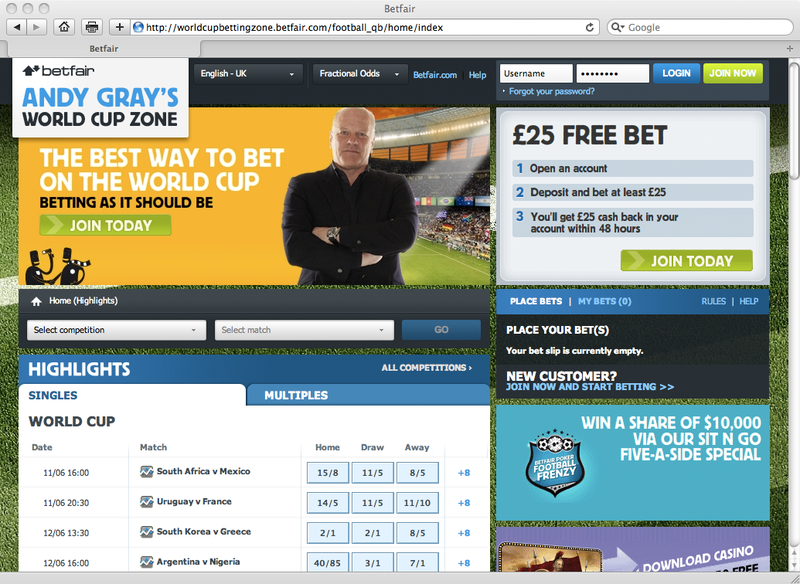 Do World Cup Campaign Sites reach their business goals? The World Cup starts in a few days. I’m really looking forward to it, it is going to be great! They are all a different in what they they want the player to do. 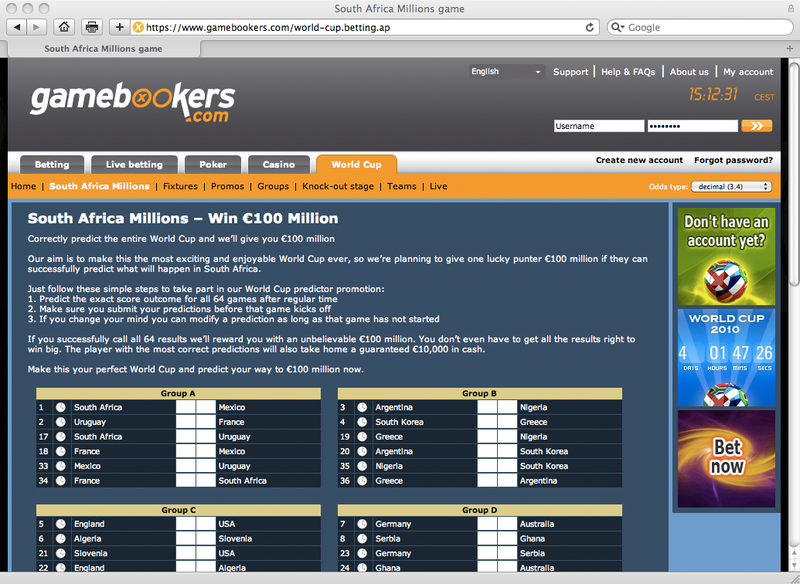 At Betfair they have made a campaign site where you can place bets on all matches at the World Cup, but at Gamebookers you can win £100 Million if you get all the results in the World Cup correct (what the odds are for that to happen?). 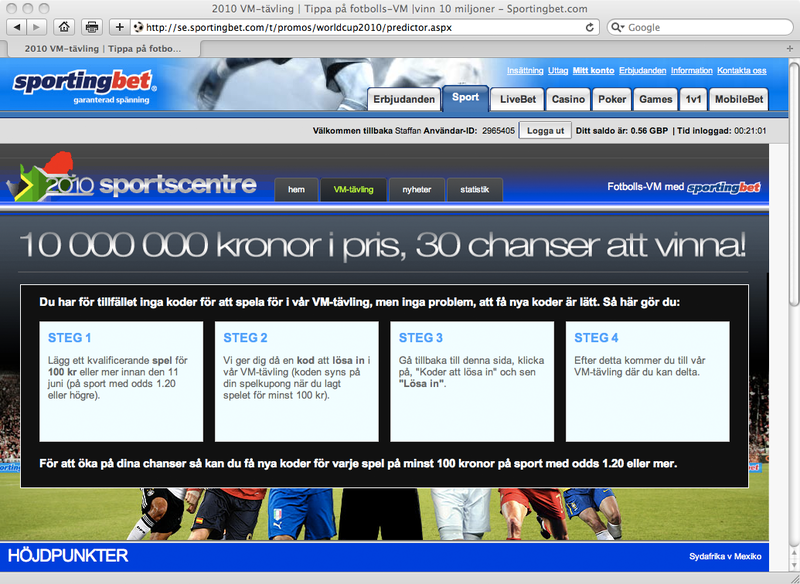 At Sportingbet you get “tickets” when place a bet of 100 SEK or more and then you can win prices. 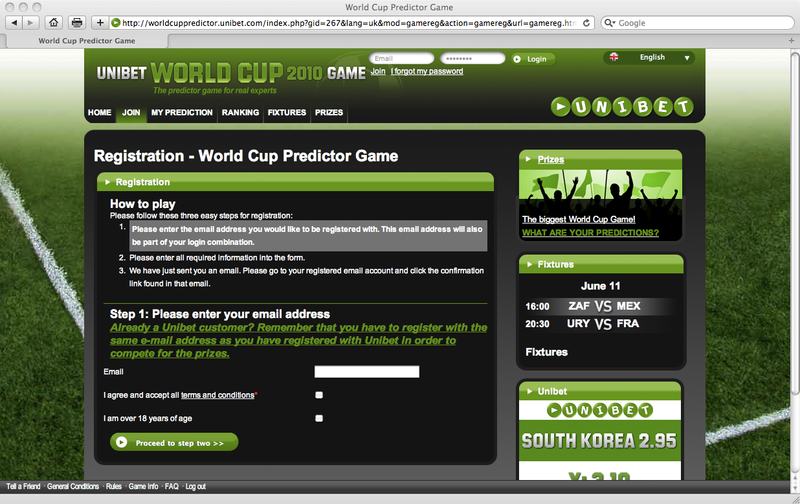 At Unibet you can also win prices. I believe that the campaign sites are missing key functionality. For instance at Unibet you have to sign up again using the same e-mail address you registered for when you opened your Unibet account. Why do a player have to do that? Unibet already know all the information! 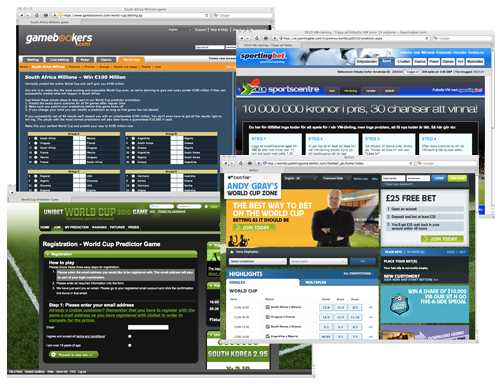 If I were to release a campaing site for the World Cup the business goal would be to increase the number of placed bets and get new customers. So the gaming portals should make it as easy as possible for the customers to get started and place real bets within the campaign site. None of the campaign sites do that very well.